The City of Jefferson contracts with Municipal Zoning and Inspection Services. Tuesday 1:00 p.m. – 4:00 p.m.
Thursday 1:00 p.m. – 4:00 p.m. However, City inspections are also done during this time. So staff recommends that residents contact him around 1:00 pm when he is MOST LIKELY to be in the office. Inspection requests may be called in at anytime. Staff will take the information and forward it to the inspector. 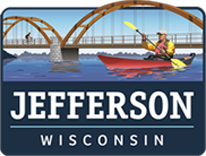 The inspector will complete the inspections during his Tuesday/Thursday City of Jefferson business hours. The Inspector also provides services to other municipalities. Below is a listing of his hours and phone numbers at alternate locations. Please click below for a summary of permits issued. This file contains information from 1992 to the present. If you are building new or making addition or remodeling changes, repairs or alterations to any structure such as your office, home, basement, deck or storage shed, a building permit is required before you begin. The purpose of permits is to ensure that work is done properly and safely and meets the standards of the State Building Code and Local Ordinances. The City of Jefferson can fine you for every day that your work is not in compliance. Projects that are not done according to Building Code can affect your home’s insurability and potential sale, as prospective buyers can check the City’s building records. If you own the home and live in it as your primary residence, you can do your own work, with the exception of plumbing or electrical during initial new construction and electrical service equipment. Most permits are issued within two to three working days. Keep in mind that permits for new commercial and residential construction require plan review time. The State of Wisconsin allows the City to take 10 working days to review residential building plans and 15 working days to review commercial building plans. You may obtain the permit forms on our website or by stopping into City Hall. Check the Building Inspector’s office hours to make sure he will be in if you need to speak with him. Otherwise, you can drop off a completed permit application with supporting documents at City Hall during normal business hours. It is the responsibility for the owner or owner’s agent to obtain all necessary permits and payment of all fees related to a project. NOTE: The Fire Department may request to be on hand for the hydrostatic test and the flushing of the pipe. The Fire Department is required to witness and sign off on the final hydrostatic test, forward flow and backflow preventer tests performed on the sprinkler system. All testing is to be performed by the installing agency. NOTE: The Fire Department is required to witness and sign off on the final test of the system. All testing is to be performed by the installing agency.